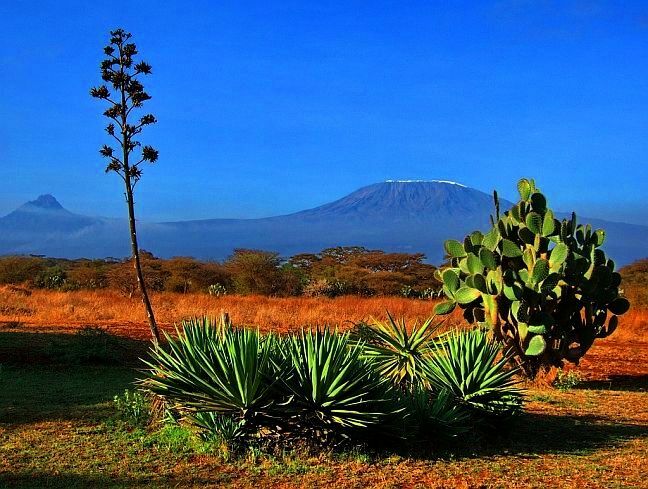 Mount Kilimanjaro, an inactive volcano in northeastern Tanzania, is the continent of Africa's highest mountain at 19,341 feet (5,895 m.) above sea level. It is the highest free-standing mountain in the world. "Free-standing" means it stands alone and is not part of a mountain range. Usually these are volcanic mountains. Several glaciers cover the slopes of this peak. The glaciers on the summit are shrinking but they are not melting; they are actually evaporating in a process known as sublimation. This process is when a substance goes from a solid state directly to a gaseous state without becoming a liquid first. 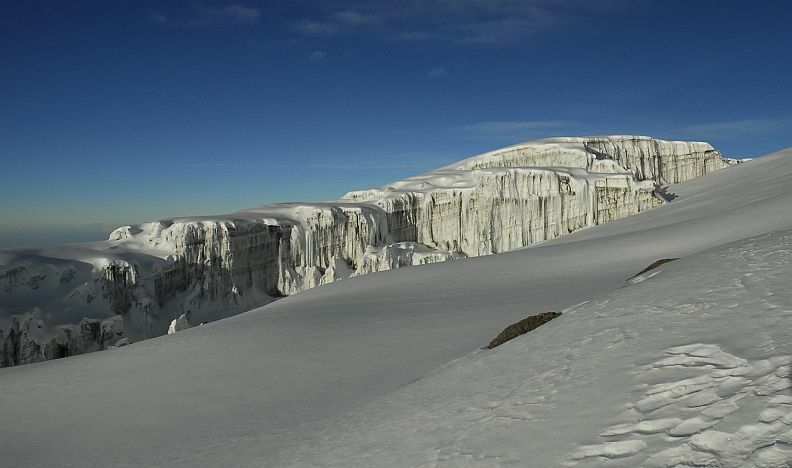 The origin of the mountain's name is not known for certain, but is believed to come from the Swahili word "Kilima" ("mountain"), and the Kichagga word "Njaro" ("whiteness"), thus "White Mountain." 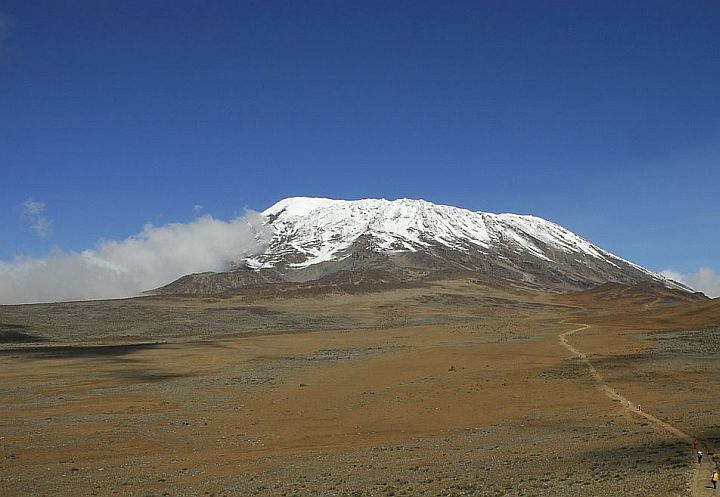 Kilimanjaro has a very rich ecology with a wide range of climatic zones similar to that of the Rwenzori. The first known successful ascent was made by German geologist Hans Meyer and Austrian mountaineer Ludwig Purtscheller in 1889.